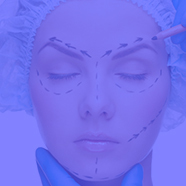 Dr. Athanasiou runs the ABH Medical Group since 2011. He graduated from Medical School in 1996 and completed his doctorate in 2006. After receiving his specialty certification he worked in a large private clinic in London, the London Clinic, where he gathered significant experience mainly in the field of Cosmetic Surgery, working with renowned plastic surgeons of London. He continued his training in California, USA, where he co-operated with long-standing professors at New Port Beach and Beverly Hills thus creating a strong relation of co-operation and ongoing exchange of opinions and techniques. Dr. Athanasiou has published papers in established international and Greek scientific journals and has given many lectures in national and international medical conferences.